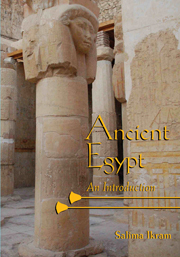 This book provides an introduction to one of the greatest civilizations of all time – ancient Egypt. Beginning with a geographical overview that explains the development of Egyptian belief systems as well as its subsequent political development, it examines methodology, the history of the discipline of Egyptology, religion, social organization, urban and rural life, and death. It also includes a section on how people of all ranks lived. Lavishly illustrated, with many unusual photographs of rarely seen sites that are seldom illustrated, this volume is suitable for use in introductory-level courses on ancient Egypt. It offers a variety of student-friendly features, including a glossary, a bibliography, and a list of sources for those who wish to further their interest in ancient Egypt.